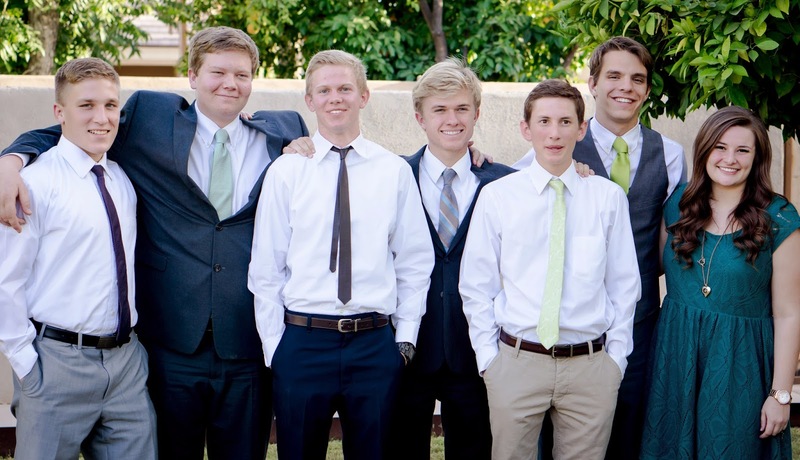 Almost three years ago, I posted this picture of six young men and one young woman who grew up together. 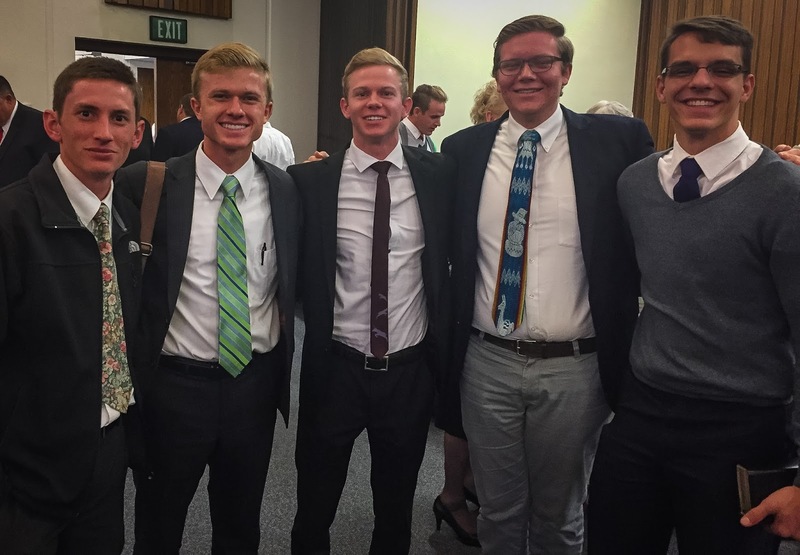 All six young men completed Spanish-speaking missions (l to r): Chile, Ecuador, Colombia, Spain, and two in Peru. Right before Christmas, I cornered the five I could find for a quick picture. One family recently moved out of our ward, and I knew the opportunities to with them all together are dwindling. I can't believe it's been almost three years since this bunch graduated from high school. Such great men they've all become--all very different from each other--but I know they will each remember the bond they developed growing up together in Mesa 30th Ward.